The hybrid cloud is combination of at least one private cloud and at least one shared cloud. It’s usually offered in one of two ways: a vendor has a private cloud and forms a partnership with a public cloud provider, or a public cloud provider forms a partnership with a vendor that provides private cloud platforms. The hybrid cloud’s storage options are different from other cloud options in that the hybrid cloud blends private and public cloud offerings into one cohesive option. With hybrid cloud storage, organizations may position frequently accessed data on site for rapid access. With a hybrid cloud, data can be automatically shifted back and forth as the business requires, with the public cloud providing capacity on demand whenever it is needed. The benefits of hybrid cloud storage are compelling: local control for some data, plus unlimited capacity without over-provisioning. So how can the hybrid cloud save money on storage options? By using optimization, said Campbell. “Public clouds are widely touted for their capital expenditure savings and their potential operational expenditure savings – particularly with respect to highly scalable workloads. At the same time, there are quite a few studies out which show that even the most aggressive cloud pricing isn’t really very cheap when compared to some local storage options. 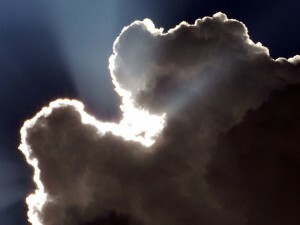 Hybrid clouds enable the CIO and IT administrator to optimize their storage on the lowest cost platform – which will often surprisingly be local DAS (Direct Attached Storage), local NAS (Network Attached Storage), and local SAN (Storage Area Network) – but to use the public cloud for scalable workloads (including storage) as well as particular use cases,” he said. The hybrid cloud eliminates the need to purchase additional hardware for in-house storage or to change existing technology, Larry Lang, CEO with Quorum, added. “Because the hybrid cloud delivers the advantages of scalability, reliability, rapid deployment and potential cost savings of public cloud storage with the security and full control of private cloud storage, it can help businesses save a significant amount of money,” he said. The best time to consider moving to the hybrid cloud is now, as there is a tremendous amount of providers in the space, meaning that competition will keep costs in line. But if now is not an option, Lang said the best time to consider switching to a hybrid cloud is when your business is faced with having to invest in new infrastructure or expensive storage options to keep pace with growth. Livedrive being one of the rapidly growing cloud storage companies is meeting demands of individuals as well as businesses customers. It not only offers a wide range of services and apps, but also facilitate you for sharing and syncing files between all your computers. Use Livedrive coupons to get the best prices on its products. Hybrid clouds give you the ability to optimize your capital expenditure and operational expenditure for storage by enabling you to use the tremendous advances in storage technologies locally while also taking advantage of the scalability and no capital expenditure capabilities of public clouds. As technology evolves, adopting a hybrid model enables you the flexibility to adapt to those changes – effectively, future-proofing your business.